A magnetic device placed at the lumbar spine enables people with spinal cord injuries to recover significant bladder control for up to four weeks between treatments, reports a new study published in the journal Scientific Reports. The treatment improved the men’s quality of life by an average of 60 percent. People with a spinal cord injury lose the ability to urinate voluntarily after their injury. The magnetic stimulation device is FDA-approved for use in humans but its application for bladder rehabilitation is experimental. 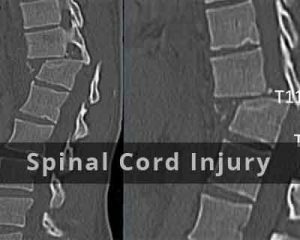 The University Of California – Los Angeles(UCLA) study involved 5 men whose spinal-cord injuries ranged from five to 13 years ago. People with spinal cord injuries use catheter into the bladder several times a day to drain urine. If a patient is unable to use his hands then he has to depend on the caretaker to insert the catheter. Long-term use of the catheter is harmful because the procedure can introduce bacteria that leads to urinary tract infections and permanent scarring. Moreover, bladder problems after spinal cord injuries can also lead to kidney failure and death. Lu and his colleagues applied magnetic stimulation to the spinal cord to access the cellular machinery controlling urination. Doctors previously have used the same approach with the brain to improve nerve cell function for conditions ranging from depression to a migraine. Each participant had to undergo 15 minutes of weekly stimulation for four months. No results were observed at the initial stage. But after four sessions, the study participants began to experience measurable improvement. The ability to urinate improved in each patient. Four of the men still had to use a catheter at least once a day but that was still a significant drop from their average of more than six times a day before the treatment. The patients’ average bladder capacity increased from 244 millimeters to 404 millimeters, and the volume of urine they produced voluntarily rose from 0 to 1120 cubic centimeters per day. In an earlier research, Lu and his team had surgically implanted electrical stimulation devices in the spine to improve hand control in two people with cervical spinal cord injuries. Lu’s team used magnetic stimulation as it’s noninvasive, painless and less costly than an electrical implant. In order to gain a deeper understanding of how magnetic stimulation alters neural activity in the spinal cord and explore whether different stimulation patterns improve responses in patients who didn’t benefit to the same degree as others in the study,the researchers plan to evaluate the approach with a larger number of men and women in a second study.